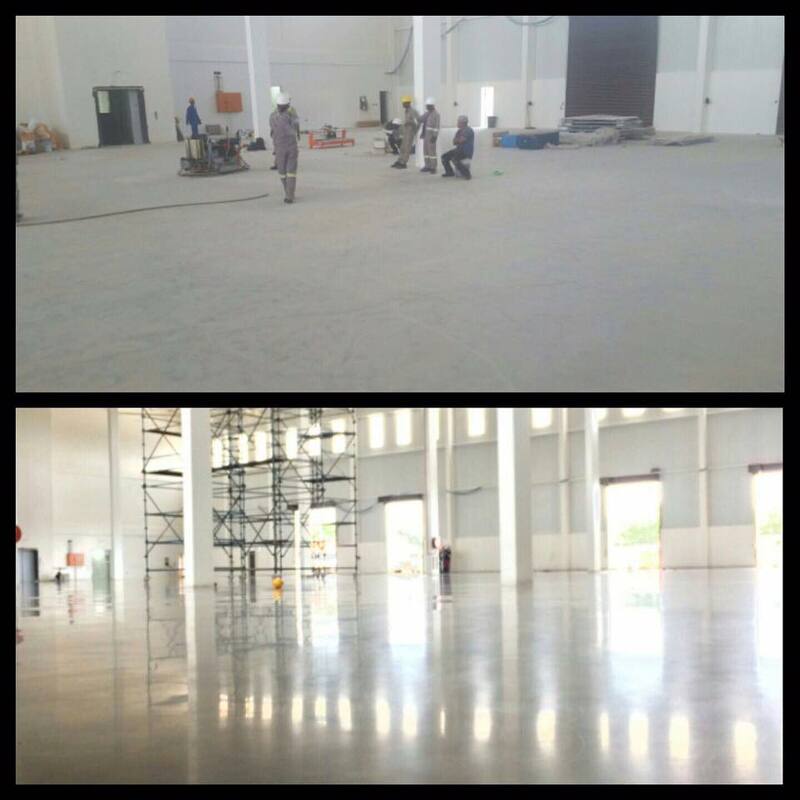 Seen here is the before and after photo of another huge task undertaken by the Conserv Concrete Group – Floor Grinding Services (Pty) Ltd. I love it when a plan comes together.! 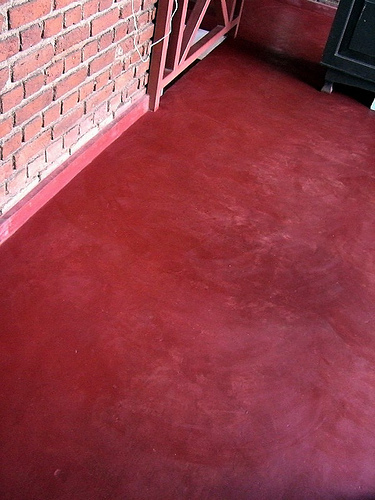 I remember from long ago when some homes had a “stoep” and that it was stained with RED stoep polish. Often this had to be ‘updated’ every year. 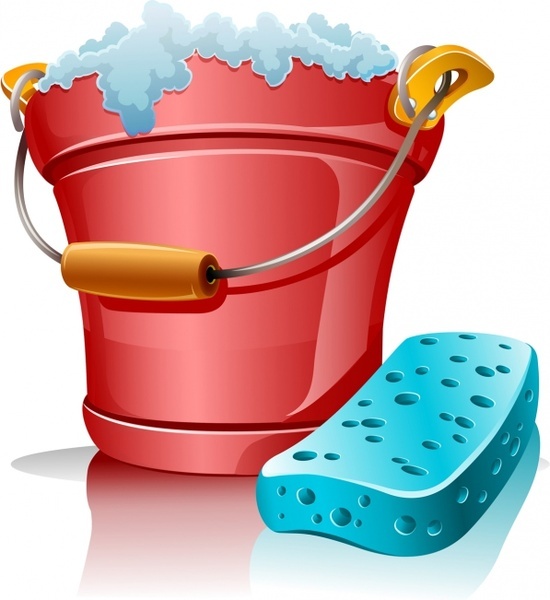 It was also common back then to find the same red polish on the floors of the local cafe’ or grocery store, and on almost every garage floor. Concrete floors have come a long way since then. These days we do not use a coloured polish on grey concrete but offer many better alternatives, almost too many to mention. These are: liquid or powdered colour pigments mixed in the concrete itself; high density concrete coloring pigments & stamping release agents; colour hardeners; colour dyes and/or colour stains, and exposed aggregate. Combined, these options provide 100’s of colour shades to choose from. Done professionally this colour will last as long as the floor itself. 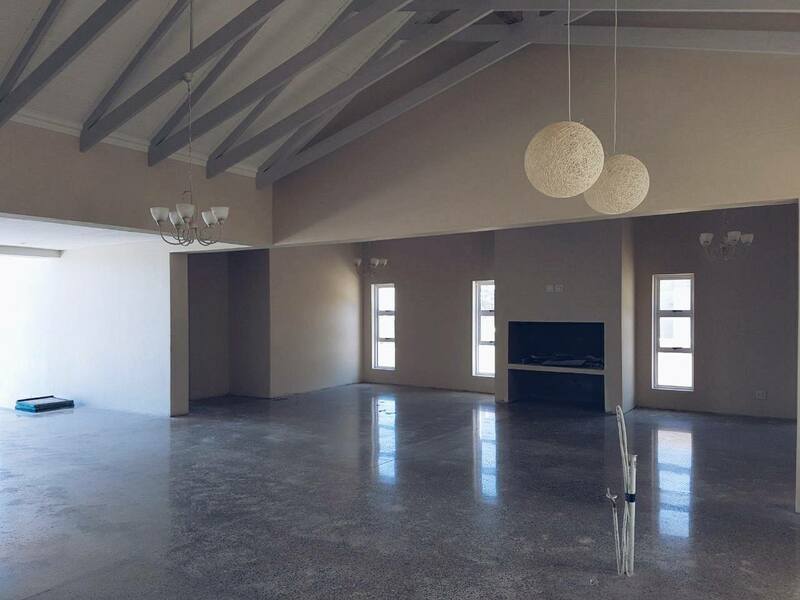 Concrete floors are far from being BORING! Speak to us and let’s colour your world. #buildingplans — with Eugene Human, FG Frameless Glass, African Trusses & Timber (PTY) LTD, 180 Degrees concrete floor services (Pty)Ltd , IsoBoard Ceilings, and RUFE.